Doing your best all about pushing your own limits, not trying to measure up your capabilities with somebody else. 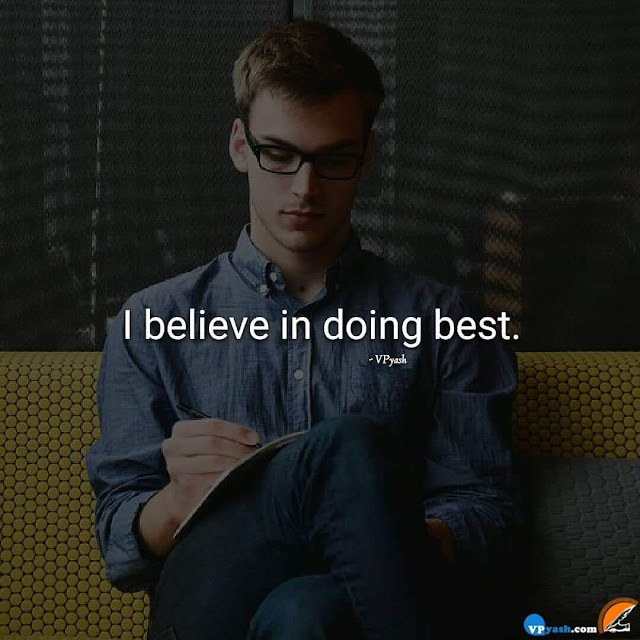 For many people, the best means better than other people but being the best means you have put your full efforts to achieve your goals. Whatever you do, you do it with all your heart and soul and become satisfied that yes you did your best then it is of no point to compare your efforts with others. Your only competition is you only. Keep pushing yourself beyond your limitations and see the miracles happening around you and stop competing with others. So, be the best of yourself and be the winner in the end.